Replacement batteries for all APC UPS Models. We only list the most popular models. If your RBC code is not listed here or unsure which RBC you need please contact sales for pricing and availabilty. The prices shown exclude VAT and Delivery charge of 5.99 if your order is less than 200. 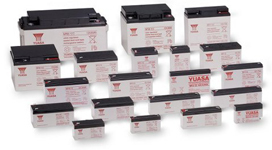 If required you can purchase safe disposal of your old batteries, simply use the carton your new batteries have arrived in and call us when your RBC is ready for collection quoting your receipt number - the price includes the return freight and is per carton. This is down at the bottom of this page. Parcelforce will bring all necessary labels.